RICHMOND, Va. (AP) — Virginia Lt. Gov. 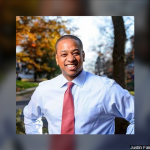 Justin Fairfax says he’s asked prosecutors in Boston and North Carolina to investigate sexual assault allegations two women have made against him. Speaking at a Wednesday news conference, Fairfax again said the allegations are untrue and the sexual encounters he had with the women were consensual. Fairfax says he’ll cooperate fully with prosecutors in Boston and Durham, North Carolina, where the women say the assaults took place. Fairfax says he’s confident the investigations will reach the same conclusions as a polygraph test he said he’s releasing that shows he’s innocent. During the news conference, Fairfax also noted his accusers came forward when it appeared he would become Virginia’s next governor in the wake of a scandal surrounding a racist photo on Virginia Gov. Ralph Northam’s yearbook page.